The Practice is pleased to have been rated as outstanding at our recent inspection by the Care Quality Commission (CQC) on 1st February 2019. This rating reflects the efforts the practice team have made over the last year to act upon patient feedback around access and also contacting the surgery by telephone with our new appointment and telephone systems. It also recognises our work on various areas of clinical focus such as sepsis and cancer screening uptake. We acknowledge that there is scope for further improvement. We endeavour to improve patient satisfaction further and continue with existing and new areas of clinical focus based upon our patients health needs. If you do not have a touch tone phone please hold the line and you will be transferred to a member of our reception team. Once an option has been selected you will be notified where you are in the queue. Vaccinations are still available, please contact reception on 01379 853217 after 11am, option 6 to book your appointment. 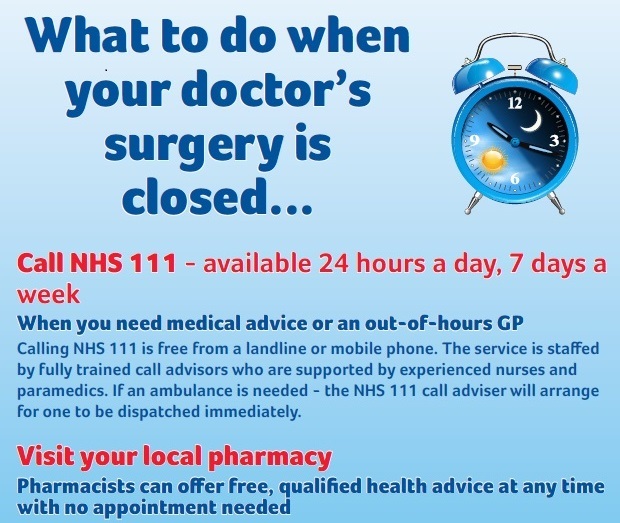 Vaccinations are still available, please contact the surgery after 11am on 01379 853217, option 6 to check eligibility and to book an appointment.